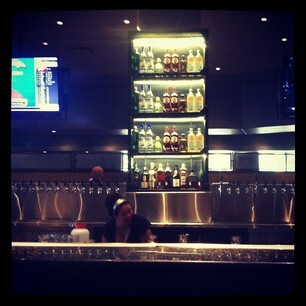 Why only choose between a handful of beers on tap when you can choose from 100? Henry&apos;s Tavern in Plano, Texas at the Shops at Legacy couldn&apos;t agree more. They not only provide a full bar with unique features such as a frost top drink rail to keep your drink constantly chilled and a nice selection of specialty cocktails, but this classy yet laid back restaurant serves up 100 beers on tap. This makes for an almost endless amount of possibilities and flavors every time you visit! 100 beers on tap at Henry&apos;s Tavern. This past Monday, Henry&apos;s Tavern American Bar & Grill invited iheartfrisco to their grand opening event and showed me the ropes on just exactly why and how Henry&apos;s Tavern is bringing it to the Plano/Frisco, Texas area. I have to say, my first impression blew my expectations out of the park. 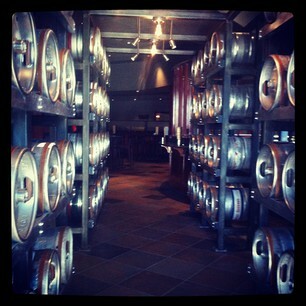 The Hall of Kegs at Henry&apos;s Tavern. When I walked in, I was pleasantly greeted by their host staff and guided through the hall of kegs to the back of the restaurant (yes, hall of kegs - you read that right). To my left, right, front, and back, flat screens were all around. The TV&apos;s were tastefully placed around the restaurant in a non intrusive way, yet wherever you sit in the restaurant you still have a great view of the game. The overall scene was impressive! 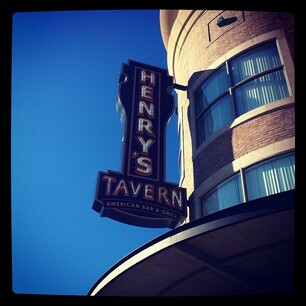 Whether you are looking to be social or have a more intimate setting, Henry&apos;s Tavern hits the mark. 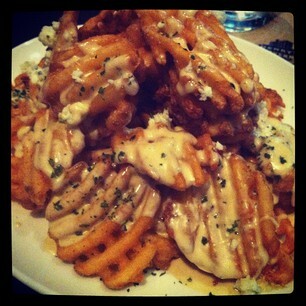 Gorgonzola Waffle Fries from Henry&apos;s Tavern. Now, let&apos;s get back to that 100 draft beers. Oh the choices! I would have been overwhelmed by trying to narrow down the drink options to make a choice if it wasn&apos;t for my good sport of a server. He walked me through each page of the drink menu asking my preferences, describing unique flavors, and making recommendations. After a little back and forth with myself on what the best and strongest choice for my first beer here would be, I went with the Pyramid Apricot. My server quickly came back my my ice cold beer, sprinkled some salt on a napkin (keeps the glass from sticking to the napkin), and handed over beer of choice. I paired it with an order of gorgonzola waffle fries (wow, try these - only if you are into food straight from Heaven) and together with my rich in flavor Pyramid Apricot, I experienced what pure happiness tastes like. It&apos;s details such as these that are the makings of truly amazing restaurant and bar, and I have no doubt that Henry&apos;s Tavern and their 100 draft beers are one of the next biggest things in the DFW area. Look who else agrees!